When a new marketing method comes along, many business owners tend to balk, thinking that it’s a case of the “chasing shiny objects” syndrome that really isn’t essential to their long-term business success. While this may be true with some strategies, mobile marketing is certainly not one of them. Business owners who are serious about the future of the business need to jump on the opportunities mobile marketing creates, and the sooner, the better. Here’s the thing. If your business is not mobile-user friendly, your prospects and customers will find another business that can provide similar products and services that IS mobile-friendly. It’s really that simple. If your prospects try to go to your business website on their smartphones and discover that your site is a mess and they have to click, pinch, zoom and try all sorts of finger gymnastics to get basic information, they’ll click out and move on to find what they need elsewhere. When your prospective customers decide they want your products and services, they want it now and they want to be able to easily access it. 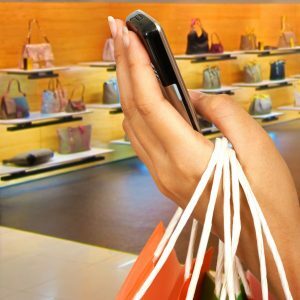 By utilizing mobile marketing, you can give them what they want and establish yourself as the solution to their problems. Mobile marketing is the ideal solution for our instant gratification society. The golden rule of marketing (at least one of them) is give customers what they want and need as quickly as possible. That’s what mobile marketing will enable you to do. Contact us today to learn more about how we can take your online marketing to the next level with mobile marketing.